Why Your Business Needs Professional Janitorial Service | Crystal Clear Enterprise, Inc.
You may be a personal injury lawyer with a reputation to have clients compensated with more than they expect..
Or you could be the owner of a global chain of fast-food restaurants… wondering where you went wrong and where did all the clients go? Ever wondered how the lack of hygiene and cleanliness could be putting your business at a loss? Maintaining a clean facility be it an office or a restaurant is crucial to business success. Imagine customers walking into your store, tiles and carpets faded with accumulating in them— most of the people wouldn’t even walk in to a shop which seems dirty at the entrance only. A considerable 95 percent of shoppers say the exterior of a shop influences their buying decisions. Millennials make up the largest number of customers today, and we know they can be aggressively brand-loyal – that is if they actually turn over to your business. If you give your customers one reason to think poorly of your business they are most likely to go somewhere else. Anything less than a sparkly clean environment will be a major turn off for your customers, not only this but they might spread the word amongst friends and family. Next thing you know, a PR disaster which, as we have seen in the not so distant past, can destroy your business overnight. A dirty office environment can to lead to several health issues for employees and customers. Dirt doesn’t need to be visible for your office to be carrying hazardous germs, bacteria and allergens. If your employees are subjected to these allergens for a an extended period, it can be particularly problematic for their health. To combat such issues always hire cleaning professionals who have a solid track record. Experienced cleaners realize the importance of eliminating not just visible dirt or dust but they also make sure that they leave your facility completely safe for everyone. Hiring professional cleaners saves you time and money both, you can schedule their services to match your. For instance schedule them for after hours so that your office will be empty and when your staff and customers step in next day they will find it clean and no inconvenience will come to anyone. 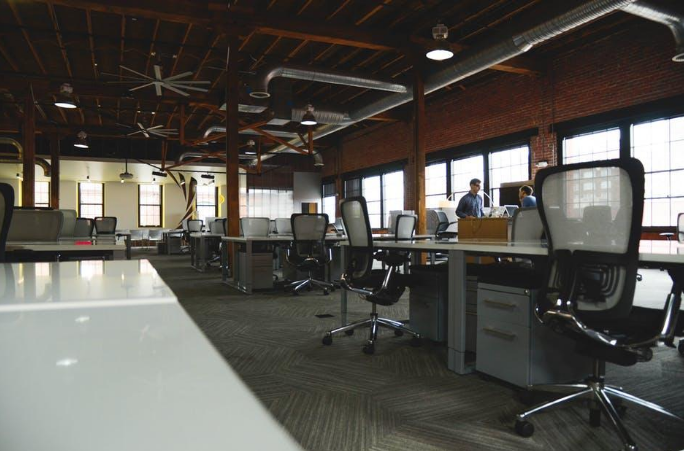 Your early customers will be pleased to see a clean facility as well your employees will not be disturbed and productivity will increase due to clean workspace. If you are still wondering if hiring a professional janitorial service is the correct choice for your business, call Crystal Clear in Kansas City, Missouri. 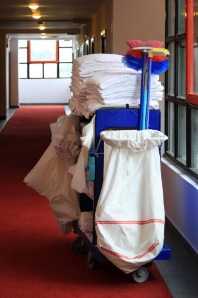 We will be pleased to go over your requirements and develop a personalized plan to get you the finest achievable professional janitorial service for a great price.